Pink french terry short with white trim. 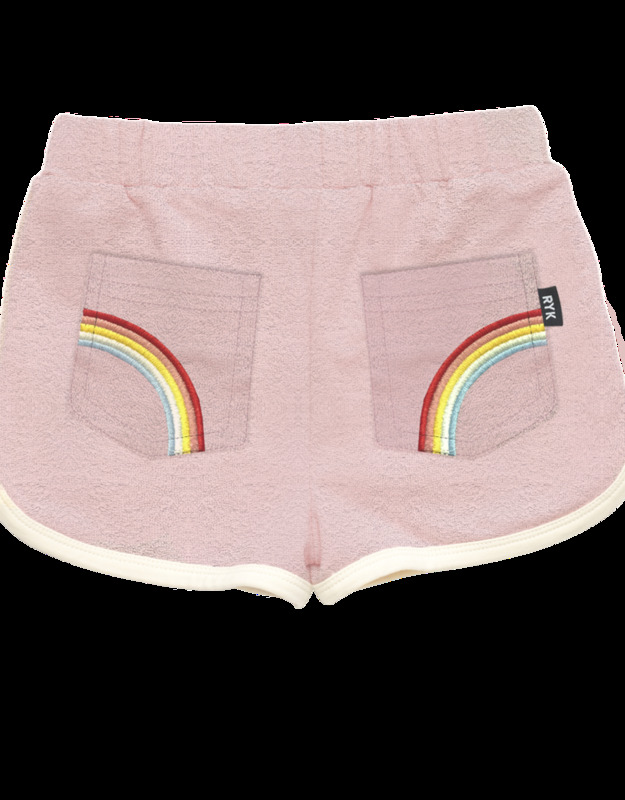 2 back pockets with rainbow embroidery. 80% cotton 20% polyester.